One of the fundamental healing modalities of my practice is to clear, activate, and balance the Chakras for anyone that is experiencing imbalances or discontent in their life. My intention is to empower you with the awareness of this system for maintaining balance in all aspects of your life. I truly know the profound power of self-awareness and healing that can be attained when a person’s Chakra system is awakened and activated. The more you learn about these powerful energy centers within your body, you will quickly be able to bring harmony back to all aspects of your life. 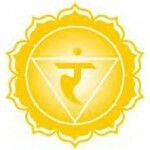 Each Chakra Energy center in the body holds keys to specific physical, emotional, energetic, mental and spiritual issues. 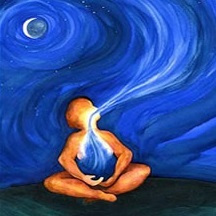 When one or more chakras centers are out of balance or blocked, then challenges, disease, dramas, depletion, confusion and disconnection are experienced. 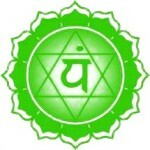 The Sanskrit word “chakra” means “wheel” or “disk”. It has been described by many as a spinning wheel of light. The first references to the chakra energy systems in the body were found in the Vedas in India, the ancient texts of Hindu wisdom teachings, dating back thousands of years. Of the many chakras within the human body, seven have been identified as major and are often associated with rainbows, sound, vibration and color. 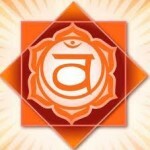 There are many techniques for clearing and aligning the chakras within the body. Energy healing tools, vibrational sound instruments, crystal/color therapies and guided visualizations are among the most common. Eventually, it is ideal for each person to learn to identify blockages and imbalances in their own chakra systems are apply appropriate realignment practices to harmonize their own “Rainbow Light Body”. The first step is awareness of habits and choices that are contributing to imbalance. The second step involves consistent practice to build new habits and conscious choices that support balanced chakras and therefore a thriving life. As mentioned earlier in the post, this information only scratches the surface of the fascinating teachings from the Chakra system. I believe that the more you understand the principals of the Chakras, the more you will be able to self-diagnose imbalances and the necessary action for realignment on your own. The Chakra concepts are very accessible and easy to understand which is why, I believe, it is a practice that resonates with many people. There is a lush, dimensional elegance to the system since all five senses can be actively involved when working on Chakra balancing. If you would like to experience a hands-on and sensory experience with Chakra balancing, I offer a 90-minute private session that is a relaxing & focused attunement of each chakra, clearing and activating the energy stored within. 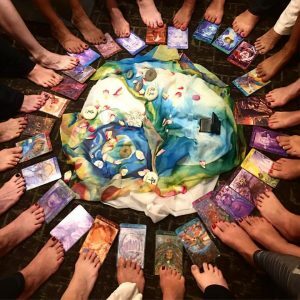 The session also utilizes guided imagery, healing energy tools, essential oils, crystals and vibrational sound to clear and align the chakra light body. I also have a comprehensive online course comprised of 30 videos, plus a course handout, which allows you to study the Chakra System in depth and at your own pace. 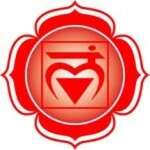 You will learn an overview of the Chakra System along with specific tools, practices and techniques to Clear, Activate and Balance each Chakra Center. This intimate understanding of the Chakras will empower you to diagnose imbalances in yourself and others while providing the tools and insights to bring imbalances, blocks and densities back into a peaceful harmony. Coming Home is a series of relaxing, guided meditations I developed and recorded as an enhancement to my practice so that anyone could access some of my teachings at home. There are four individually focused meditation exercises that have a powerful, but subtle musical accompaniment. You are invited to use the guided visualizations to facilitate realignment of the physical, mental, emotional, spiritual, and light bodies. The very first meditation track is an exercise that clears, energizes and aligns the 7 chakra energy centers of the body. The goal is to create a more radiant and balanced auric field which generates feelings of being peaceful and centered. The remaining three guided visualizations tap into many concepts found used in my Shamanic practices and studies. The recording is available either as a physical CD which can be mailed anywhere in the world or as a digital download which can be purchased and then directly downloaded onto your media device. A few times a year I facilitate my Sedona Weekend Intensive – Courses for Empowerment & Awakening. This is a four-day retreat in a small group setting where I am able to personally train students on all ten of my essential courses. 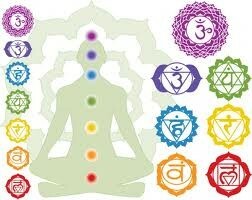 One of the modules is a half-day session dedicated exclusively to understanding the Chakra System in detail. If you enjoy group retreats and have been for a powerful weekend getaway of enlightenment, this is a wonderful opportunity. You can find more information and program details on my calendar. Last but not least, I can work with you via phone for counseling sessions. Together, through private conversation and exercises, we will work through the areas of your life that are out of balance or where you keep finding blockages. I will guide you to hone in on the Chakras that are in need of alignment or recharging so that you can lead a happy, healthier life. Contact me at any time to book an appointment. I encourage you all to delve deeper with your studies of the Chakra System and the Rainbow Light Body because I promise you that magnificent results will show up in your life. It is truly one of the most effective ways to heal yourself and to begin a lifetime of well-being! Blessing and Awakening to you all.